The other night, my youngest and I continued a tradition that hasn’t really been an annual, very consistent, tradition; however, I’ll call it a tradition, nonetheless. We made sugar cookies together…complete with the rolling out of dough, cookie cutter figures, making our own icing (for the very first time! ), and sprinkles and nonpareils. It was messy, but it was, oh, so fun!! We had the movie, Home Alone 2, playing in the background as we floured the countertop and rolling pin, flattened the dough and prepared it for the cookie cutters. 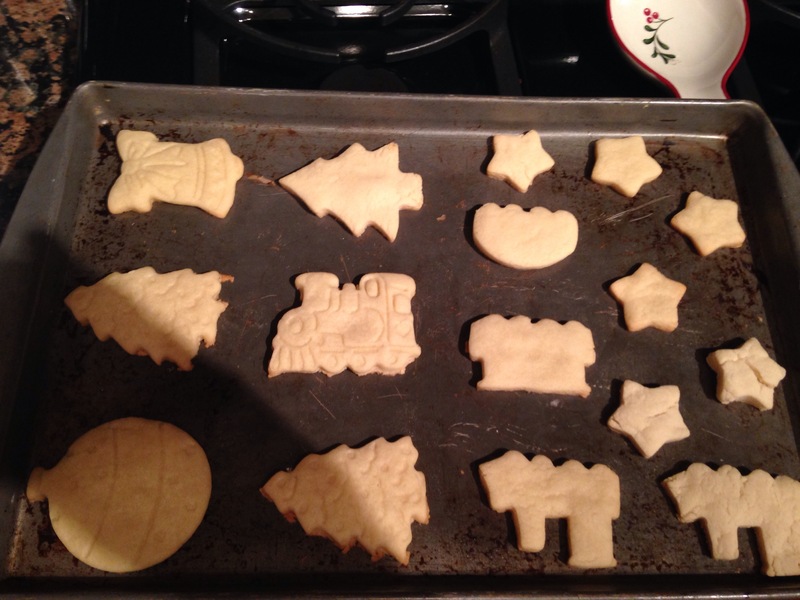 We pressed the cutters into the dough, making snowmen, Christmas holly, stars, and trains. We baked them, painted them and let them dry. We ate a few and stood back to admire our handiwork. He did an awesome job! 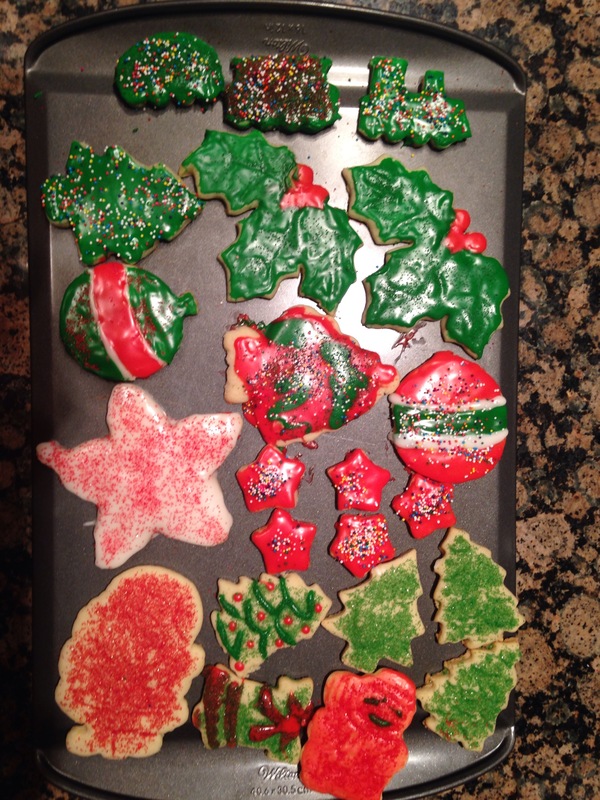 …Mine looked more like a four year old’s creation (no offense to the four year olds out there! Haha). I’m so glad I took the time tonight to make a memory. There were so many other needs and responsibilities pulling for my attention, but that little nine year old won’t always be pulling for my attention. These days are so fleeting. I’m so glad I ignored the other things that were screaming my name. I’m so glad I made the moment last just one more time. 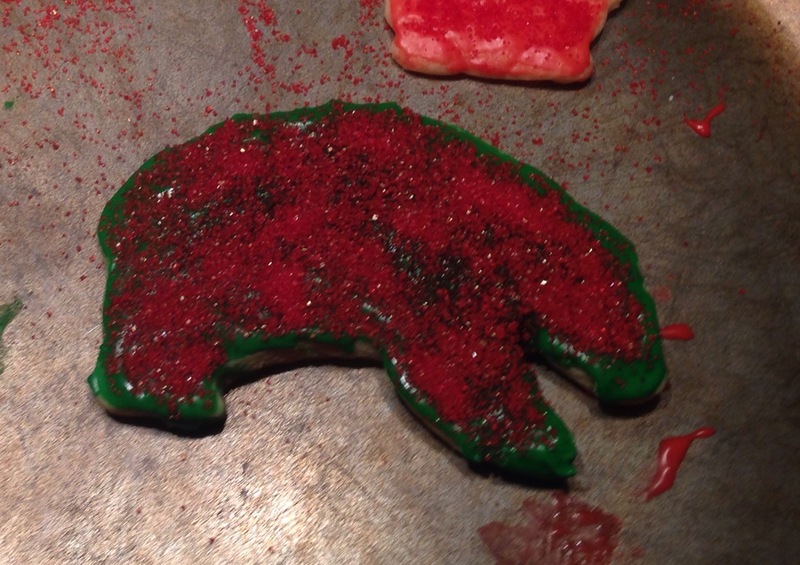 So, even if the sugar cookie making is not a tradition like the others we have, which are more consistent through the years, I believe we will keep this one each year, or every other year, or maybe just when we “spontaneously” want to keep it. Spontaneity and tradition can go hand in hand, sometimes! The memories that are etched on our hearts at that moment may even last longer, sometimes, than those traditions which we tend to do more out of routine and expectancy. So, make a point to keep those traditions, create some new ones, and strive for those spontaneous “together-moments” whether you do them bi-annually, or simply, when you think of it from one child to the next! You’ll love the memories you’ll gather, the fun times that will be had, and one day, your children will thank you! MAKE a new tradition, or keep an old tradition…again!